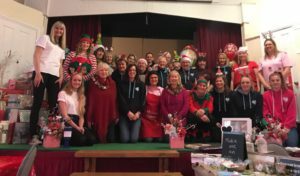 This year’s Christmas Fair was held on Sunday 3rd December at Highnam in the Parish Rooms. Another great day was had with seasonal refreshments, homemade produce and so much more. Special thanks to all the volunteers who helped raise in excess of a staggering £2800, without your help this would not have been possible.